OMG! This guy is the best! 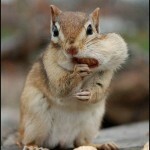 Its not like the other squirrel with its nuts in its mouth, but it is trying to put nuts in its little mouth! 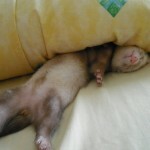 Very cute!!!! What a cutie! 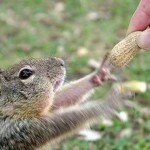 This squirrel has force one or two nuts in its mouth and is trying to run away. How cute! It is very nice photograph. 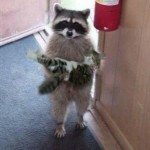 Probably the best baby raccoon picture I have ever come across. 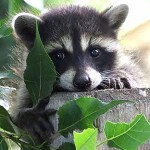 There are many raccoon pictures online because raccoons live in cities. 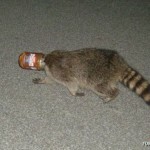 The truth of the matter is though, that raccoons are primarily nocturnal so good pictures like this are hard to come by. 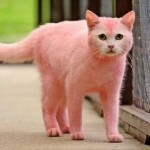 As far as pink animals go, this pink cat is possibly one of the cutest! How else to open this brand now blog but with a great photograph of a couple of very cute ferrets. 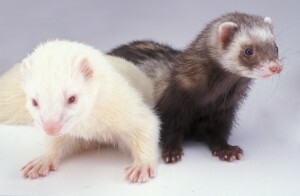 The picture shows a white and a dark coloured ferret. Enjoy!